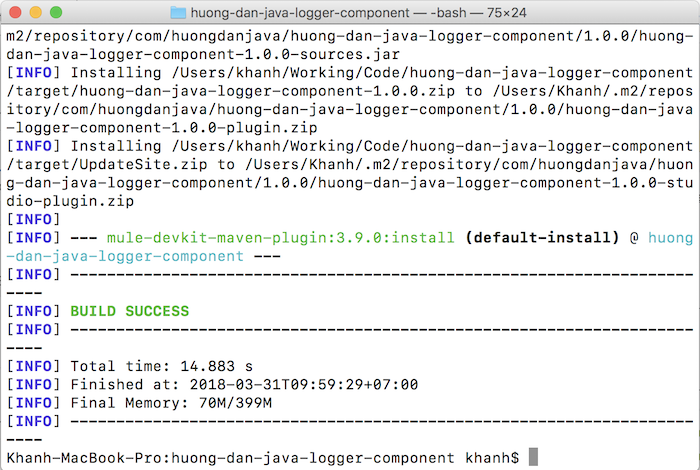 Before the release of Huong Dan Java Logger v1.0.0, we need to correct some information first. then click the Create a new release button. A new page will be displayed allowing us to provide release information. 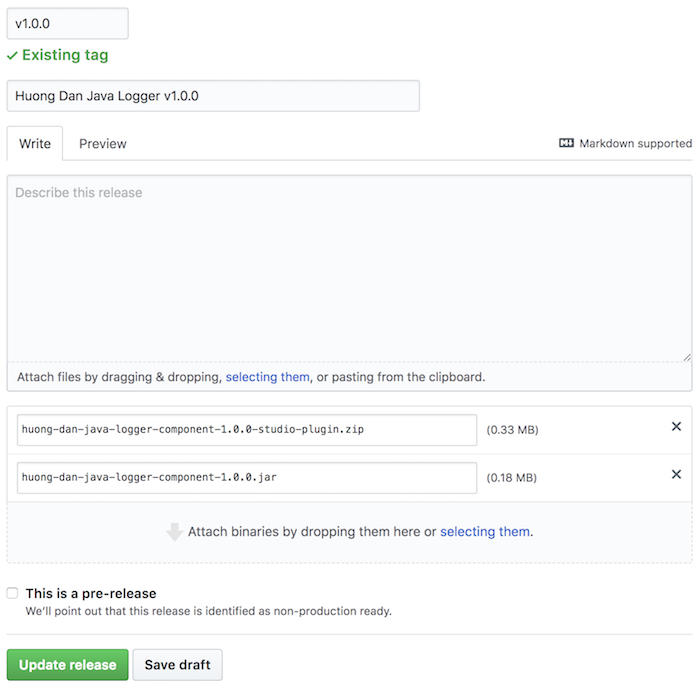 Each release time, we should create a tag to mark the code at the time of release. That is the reason, in this window, you see a box to enter information about the version tag with the target is the master branch. Click the Publish release button below to complete the release. Here, in addition to the source code, I also want to build release files for the user to use, then no need to clone source code and build. 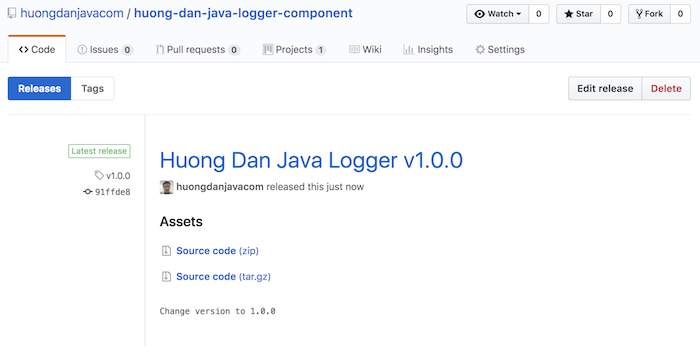 Here, we have 2 files to provide so that users can use Huong Dan Java Logger. The first file is the file to install Huong Dan Java Logger into Anypoint Studio, as you see in the image above, the file is named huong-dan-java-logger-component-1.0.0-studio-plugin.zip. 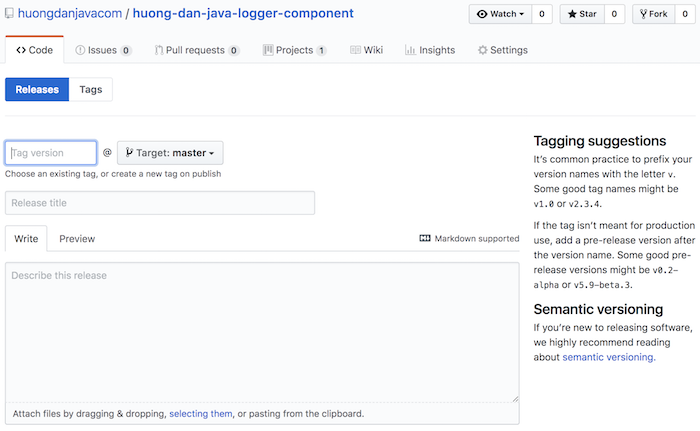 The second file, huong-dan-java-logger-component-1.0.0.jar, is the file that the user uses in the Mule ESB application, as described in the pom.xml file of the Mule application. then click Update release to complete the update.